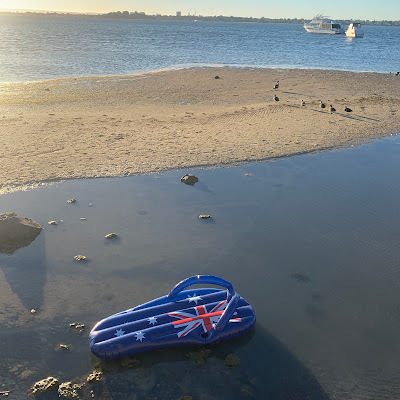 Sydney Shop Girl: Lovin' Life 7/2/2019: Top 5. The Smilie Faced Edition. 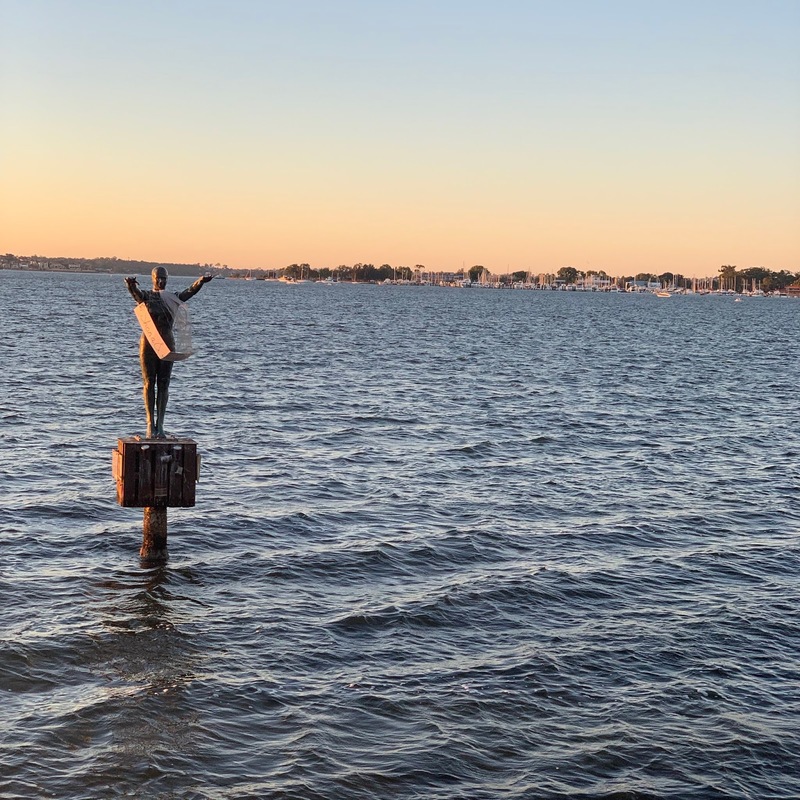 Lovin' Life 7/2/2019: Top 5. The Smilie Faced Edition. This week's Top 5 are a collection of photos that have made me smile these last couple of weeks. 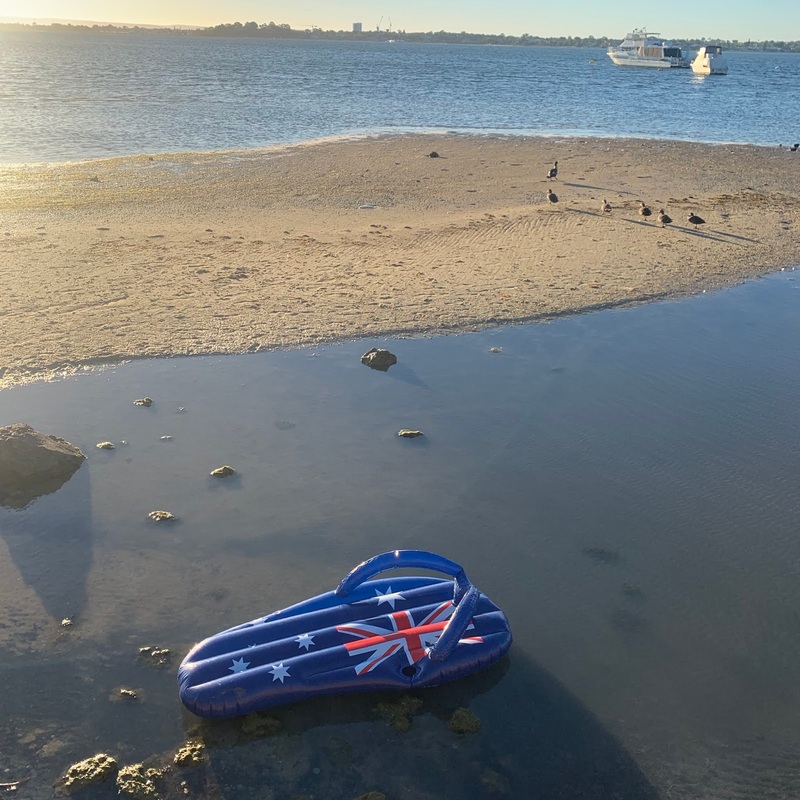 Finding this inflatable thong on the foreshore the morning after the night before's Australia Day fireworks. Catching a glimpse of Eliza by Perth artist Tony Jones on the site of the old Crawley Baths on a morning run in Perth. Approaching the city on the train from Chatswood along the North Shore line. That first glimpse of the bridge always gets me. It's always as if it's the first time I've ever seen it appear in the distance. All dressed and ready for the first day of Year 1. Days later, we're getting there with the morning routine. Things are oh so slowly beginning to fall back into place. Did I mention it was slow? And a constant upward battle? Just checking. Last but not least, the cafes that are nestled in the shade along Crown Street in Surry Hills. Sitting on an upcycled sofa, watching the world go by as I waited for my hairdresser's appointment on Thursday as I sipped yet another iced latte. It's a hard life, isn't it? 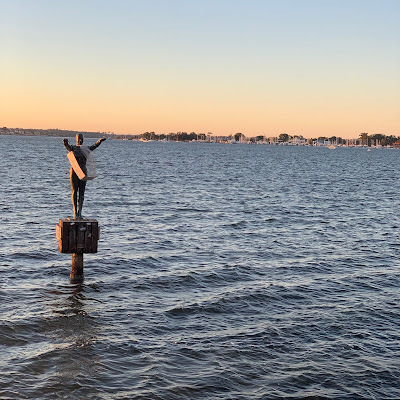 I love that statue in the water in Perth - gorgeous. Both you and Denyse have beach shots - feel I'm missing out!!!! Something so settling about being near water. I start a full-time job again next week and I'm so going to miss that time of being able to sit at cafes etc. Not that I do much of it, but it's the idea of it I find most alluring, don't you agree? Perhaps the freedom. I've never heard of the Eliza statue before and it seems quite obscurely placed. I'm sure there must be a story behind it? You know I still love that view of the bridge from the train or, more often for me, the M2 bus. I'm in the city next week for work and that's the highlight of my commute into the office.